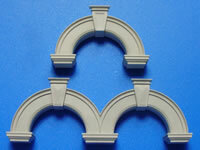 Cast your own 1:35 scale hollow concrete blocks. 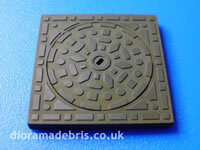 The blocks cast from this mould are sized to work with our German Standard Size Bricks and Wall Sections. 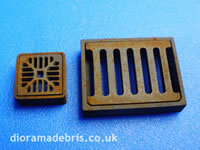 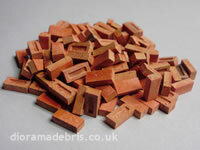 They are 14.5mm long (the lengh of two 7mm bricks + 0.5 mm mortar gap), 7mm wide and 7mm heigh (the lengh of one 7mm brick). 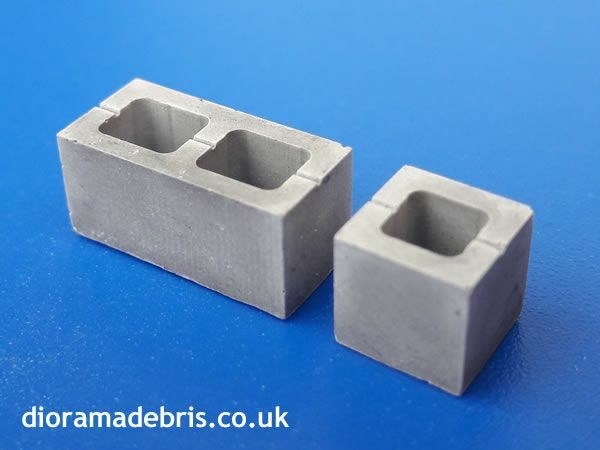 The mould casts full blocks and half blocks. 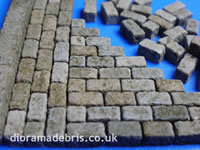 The mortar gap between blocks would be 0.5mm if you wanted to build a wall from these blocks. 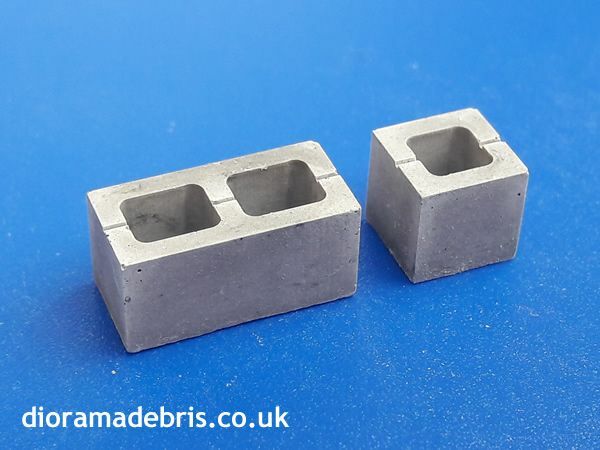 This mould will give you a virtually unlimited supply of 1:35 scale howllow concrete blocks if used with plaster (using resins will reduce the life of the mould). 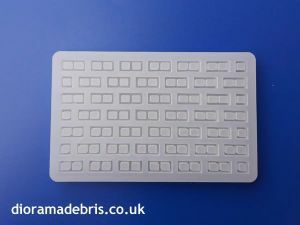 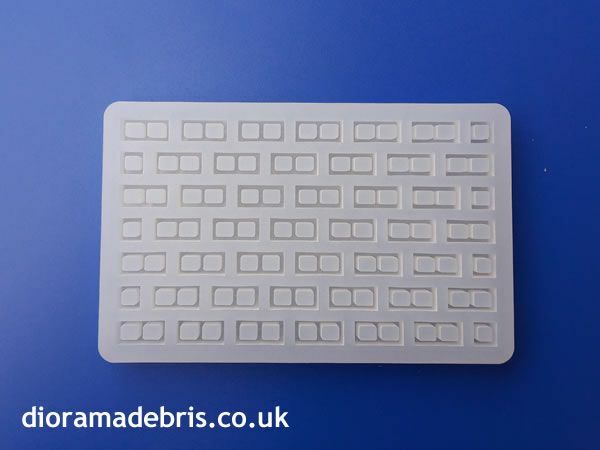 These moulds are made of the high quality platinum-cure silicone giving the mould an exceptionally long library life and high resistance to aggressive resins if you choose to use resin instead of plaster. 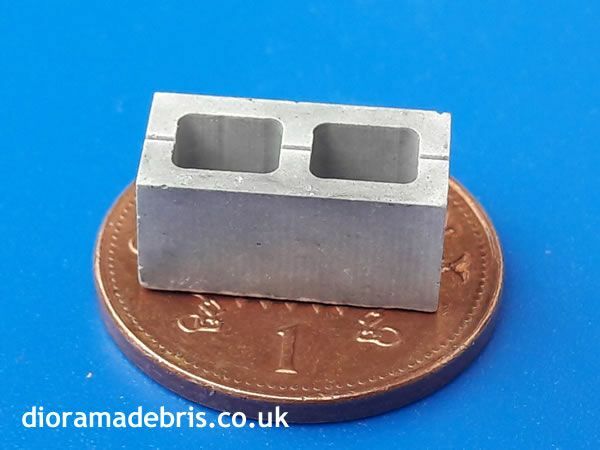 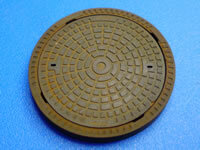 Approximate block size: L 14.5mm x W 7mmx H 7mm. 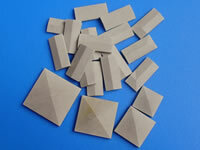 Approximate half block size: L 7mm x W 7mmx H 7mm. 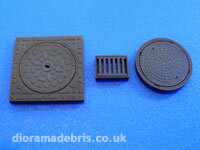 Powder pigments to colour the plaster rather than painting the cast blocks.